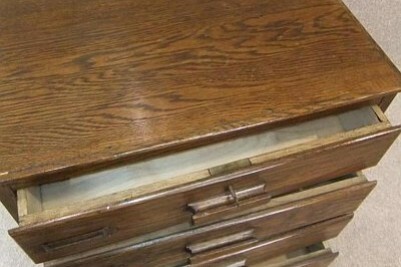 A quality piece of 1920s oak furniture. 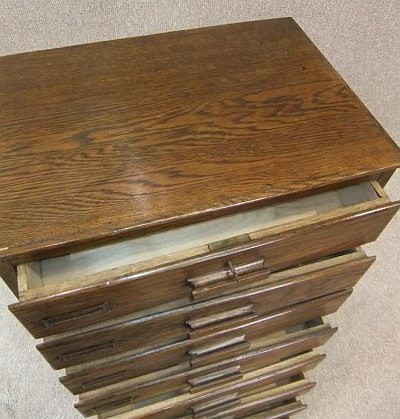 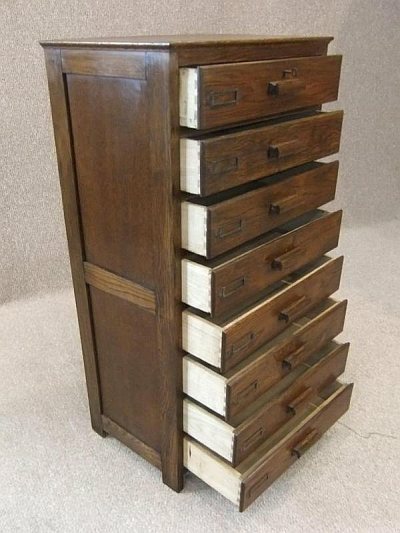 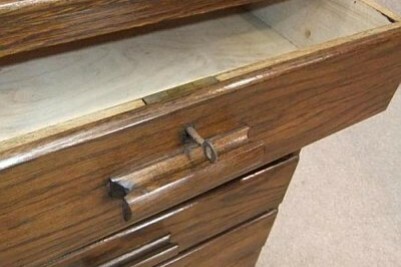 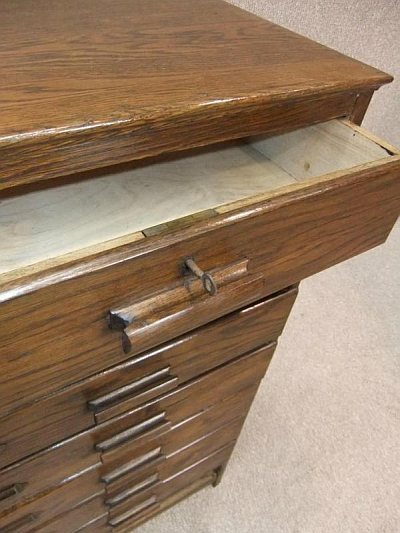 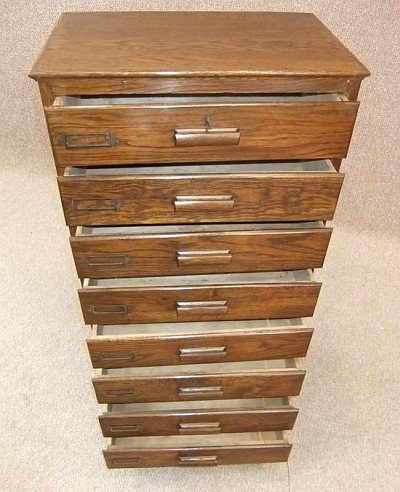 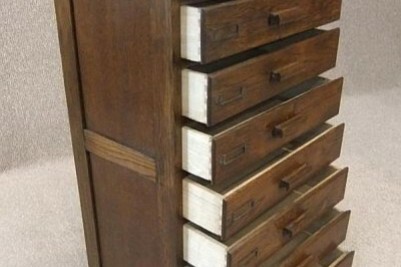 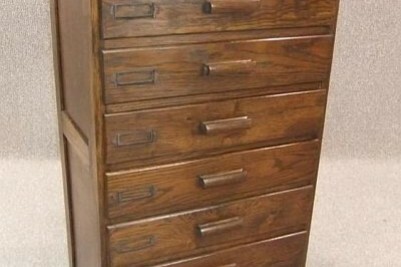 This bank of drawers features traditional handles; each drawer has an original card holder, and top drawer is fitted with a lock which still retains its original key. 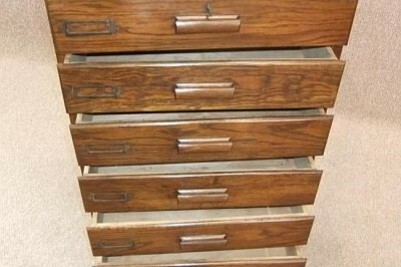 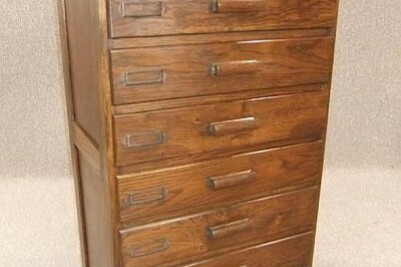 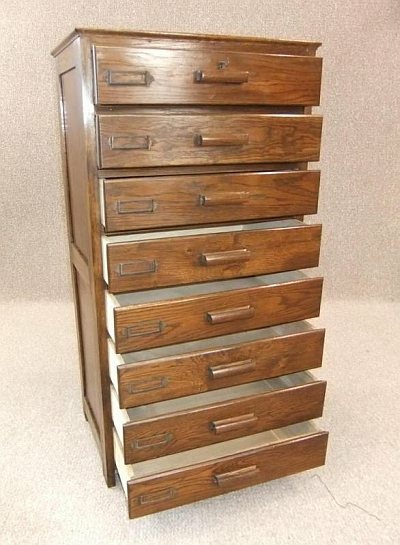 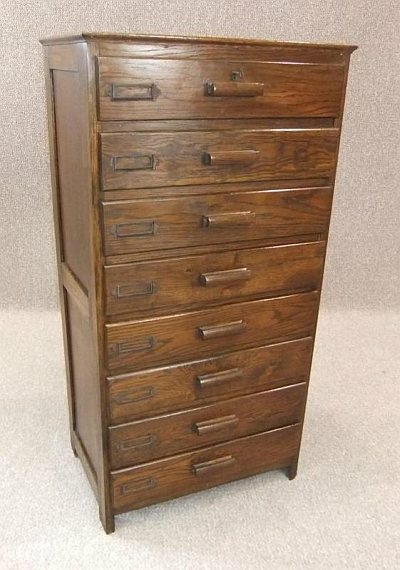 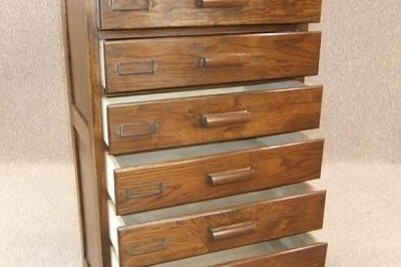 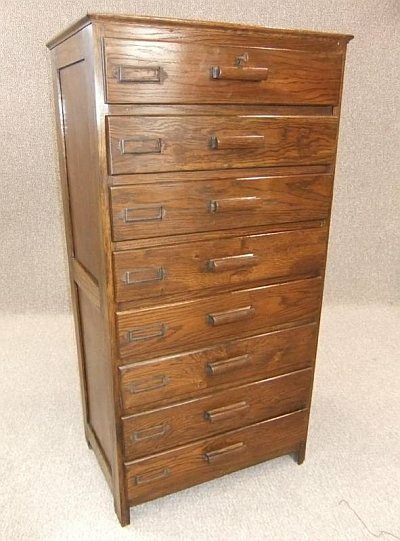 This filing cabinet is in lovely condition, and is ideal for any home office.